In today’s business environment, leaders need to do more than ensure profitability and growth. They must minimize the adverse societal impact of their business practices and create ethical brands and supply chains while guaranteeing workplace safety and decent living standards for their employees. Increasingly, as consumers gain access to more information online, they are questioning brands about their environmental and social impact. Meanwhile, environmental regulations limit the markets where products containing toxic substances can be sold, and NGOs are scrutinizing firms’ practices and calling for greater responsibility and transparency. In a traditional industrial extractive economy, a business’s financing and growth is determined by its capacity to produce more products. However, in the emerging “restorative” or “regenerative” economic paradigm, a company’s viability is determined by its ability to transform the linear industrial model into a “circular economy” model that regenerates and restores materials and products. In many markets, companies have transitioned to leasing, renting and sharing products, and designing durable, repairable products to extend their useful life. Carpet manufacturer Interface, for example, now leases carpets, instead of selling them, so it retains ownership of the carpets post-use and can properly dispose of them by reuse and recycling. Business models based on sharing are upending the transportation sector (Uber, Lyft), online exchanges enable better reuse of materials (Minnesota Materials Exchange), and “zero waste,” where one manufacturer’s by-product is another’s input, is becoming more common. Many industries now try to source raw materials sustainably and responsibly, adopt technologies that pollute less and take steps to divert valuable materials from landfills while complying with environmental regulations. All of these trends contribute to a circular, regenerative economy. Know your company’s environmental and social impact. When Patagonia conducted a life-cycle assessment on their apparel, they were surprised to learn that traditionally grown cotton had a higher environmental impact than petroleum-based polyester because of pesticides used in the growing process. As a result, the company switched to organically grown cotton and provides incentives for farmers to change too. Today, leaders must understand and manage their “extended” supply chain, which includes consumers who affect how products are used and reused, and suppliers that may offer scarce information on their practices or even hide irresponsible behavior. Tools offered by nonprofits like SedeX provide a good starting point to assess the impact of your extended supply chain. Collaborate with your partners — and competitors. Identifying and capturing profitable collaboration opportunities can be another critical step. Patagonia and Nike were among the first members of the Sustainable Apparel Coalition, an alliance for sustainable production in the apparel, footwear and textile industries. The platform allows competing firms to join forces to share information and develop a universal impact measurement tool, crucial to ensuring overall sustainability across the industry. Communicate your company’s sustainability efforts. Adopting and promoting sustainability efforts can have many benefits across the organization, such as attracting and retaining high-quality employees and improving morale. Biotech firm Genzyme, for example, found that adopting LEED certification for its office buildings not only reduced operating costs (primarily energy and water usage) but also improved productivity. Many organizations, however, only go public with their sustainability efforts when they have significant results to report to avoid concerns of “greenwashing.” For example, after being targeted by the Rainforest Alliance, the Home Depot saw organizational interest in becoming more sustainable and internally researched and replaced questionable sources for almost all their wood products. However, the company did not begin reporting its environmental credentials until 2007, when it started putting eco-labels on its shelves. Share your firm’s sustainability efforts, but also remember: Once you set an expectation, employees, environmental groups and the public will expect to see future progress. Adhere to the strictest possible certification standard. An excellent example of this comes from the building insulation industry, where manufacturers that make recycled-content claims see demand from green construction projects that must adhere to LEED standards. Until recently, manufacturers could average their recycled content claims across several plants. CertainTeed, however, decided to adopt a recycled content claim specific to each plant and product line. Its decision to adhere to a stricter standard paid off when LEED, the most significant building certification standard, issued a ruling disqualifying national averages as potentially misleading and inaccurate — putting CertainTeed ahead of its competition. Adopt innovative environmental business models (carefully!). For business leaders, it’s essential to base your conclusions on science, rather than anecdotal evidence or hearsay, as often what we perceive as eco-friendly may be a misconception. For example, a common perception is that reuse is always environmentally better than recycling. The relative impact, however, depends on the specific type of product. For products with higher use-phase impact (such as washers and dryers), reusing old equipment may increase overall emissions compared to newer, more energy-efficient models. So, familiarize yourself with the latest academic literature and environmental science. In this spirit, the nonprofit Science-Based Targets helps companies set science-based greenhouse gas emissions standards and avoid misrepresenting the environmental and social benefits of your business practices. Successful leaders do not limit themselves to improving practices within their organization — they spread the word. A valuable lesson on this for me personally was a guest speaker, Lynn Ineson, BS ’98, who spoke to my students about her work as vice president of procurement and sustainable sourcing for Clif Bar & Co. The organic food company sponsored her visit to UB, and her interaction with students helped to spread the word on sustainability efforts at Clif Bar and across the industry — a fantastic public relations exercise for the company. In summary, business leaders must hear the clarion call from customers and investors alike to become more sustainable and be prepared to move their companies toward the restorative economy following principles like cradle-to-cradle design or the Natural Step. While senior managers juggle countless issues that demand executive attention they should not think about sustainability as another topic competing for their time. Instead, think of sustainability as a business imperative — a way to integrate such concerns as changing regulations, corporate ethics and fair wages, and enhance their value. 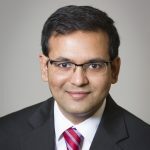 Aditya Vedantam, assistant professor of operations management and strategy in the University at Buffalo School of Management, researches the environmental impact of firm operations in supply chains, including sustainable procurement, green product design and reverse logistics. This entry was posted in Leadership, Social Innovation and tagged leadership, social innovation, sustainability by UB School of Management. Bookmark the permalink.